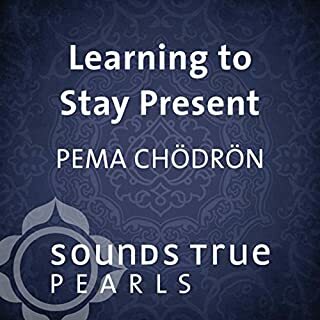 American-born Tibetan Buddhist nun Pema Chodron shares the gift of tonglen a powerful breath-based meditation practice for transmuting the suffering within ourselves and in those around us into the energy of compassionate awareness. It's one of the most effective ways to begin bringing the benefits of the inner spiritual life into the world. Sounds True Practices are short downloadable audio sessions selected from our most popular courses. Affordably priced and ideal for beginners, they're a powerful way to use energy healing, guided imagery, meditation, and other proven practices at home or on the go. Put them on your smartphone, MP3 player, tablet device, or computer…and start experiencing their benefits today. I thought this would be a half-hour talk on working with difficult emotions. It was a half-hour guided meditation. And that would have been fine, too, if there was more guidance. It was basically this: Focus on your breath, then focus on a negative emotion, then focus on a positive emotion. That was the whole thing. 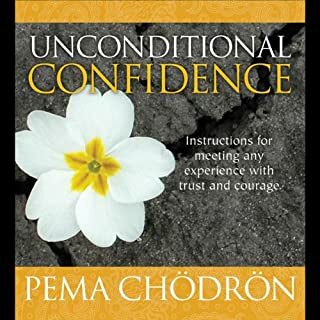 I don't think this should be sold separately because it's uncharacteristically empty for something from Pema Chodron. I've listened to MANY. Some I like more than others, but this one was just far below her usual standards, in my opinion. Well, it's tool you can use when you feel horrible, and it helps a little bit. I guess it's worth $2.44, but being well acquainted with her other work, I just had higher expectations. this is a guided meditation. It isn't really a book reading at all. It is misleading to have this as an audio book. I have not found this to be what I was looking for when I purchased this audio. I hope others will find it useful. Purchased this to help w/overwhelming anxiety&anger. Well worth the few dollars. 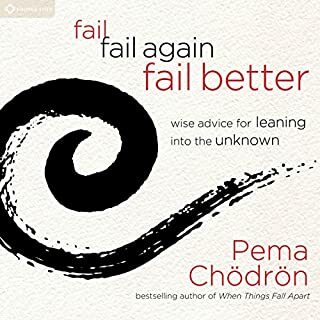 Big fan of Pema. This is not a book but a basic and short guided meditation. I feel misled and disappointed in the packaging. As we seek to deal more effectively with 'difficult emotions' it seems important not to create them. Thanks many times over for this tool to work with my emotions when I’m in a bad mood and can’t find my way back to equilibrium by myself. So grateful. If you read the description it’s stated that this is a meditation practice and an excerpt from a longer talk. It’s a short introduction and I think sometimes those of us who meditate regularly need reminders like these to bring us back to the basics. Also great for beginners. 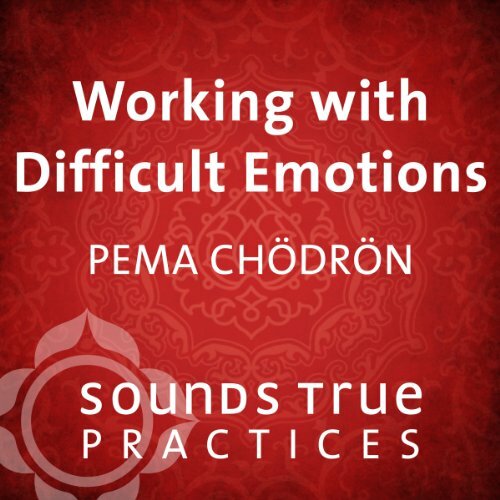 Would you consider the audio edition of Working with Difficult Emotions to be better than the print version? This is one of many examples of Buddhist teachers recording their teachings as they teach them, live to students. 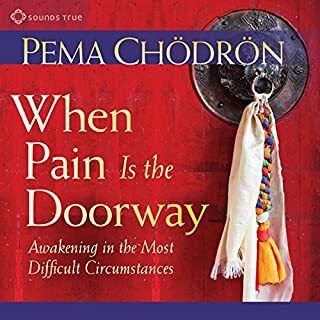 Pema Chodron has many books under her belt that she wrote down and those are good to read with the eyes and probably just as good read out, I don't know. What I like live teaching for is the sense of being in the room. The sentiments may be the same either way, but if you can't get to a live class or you like the different vibe a live teaching has, then this is a recording you will listen to over and over again. This is shorter than a book, then, but if the message is for you then you are likely to listen more than once. 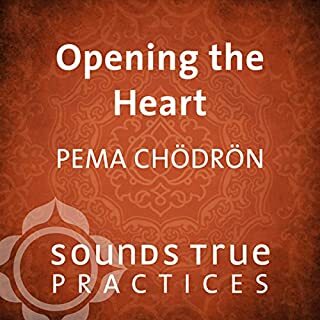 Pema talks from the heart, live in the moment, but with years of meditation and teaching and learning behind her. 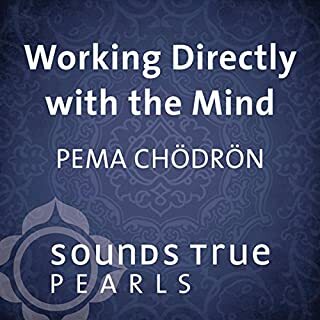 I have found meditations for sleep learning / healing / mindfulness very helpful during what has so far been then most intense, learning curve I've ever experienced. usually I just listen at night but I've taken to using this particular one during difficult times of solitude. I would highly recommend it to anyone that is seeking to start or refresh their path in mindfulness practice!